Samaria K. Smith is a law clerk with Meriwether & Tharp, LLC and has been working in the area of family law since 2013. Samaria obtained her undergraduate degree from Georgia State University in 2013. At Georgia State University, Samaria was an honors college student and served as a justice on the Student Judicial Board. Samaria also studied abroad in Florence, Italy, was a news staff writer for The Signal student newspaper publication, and served as a victim’s advocate for Partnership Against Domestic Violence in Fulton County’s Safe Families office. 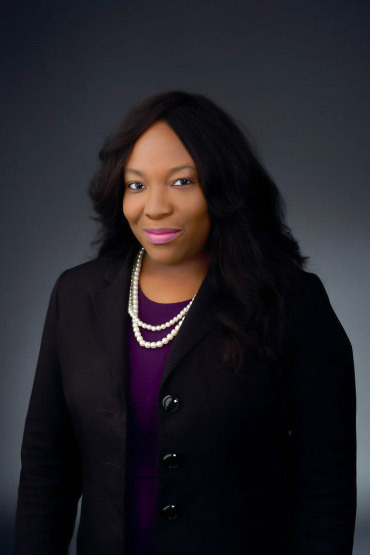 After graduating from Georgia State University, Samaria began work as a family law paralegal at Pachman Richardson, LLC before transitioning to Ellis Funk, P.C. in Atlanta, Georgia. Among colleagues and clients alike, Samaria is well known for her strong client relations, proficiency in the area of family law, and compassionate approach to helping families navigate some of the most important transitions of their lives. While working full time as a law clerk, Samaria also attended law school and earned her Juris Doctor in 2018. Upon her admission to the Georgia State Bar, Samaria is looking forward to transitioning into the role of a family law attorney at Meriwether & Tharp. Samaria is knowledgeable, skillful, and proves to be a strong advocate and team player. On a personal level, Samaria currently resides in Atlanta, Georgia with her husband, three children, and their dog Marcy. In her free time, Samaria enjoys spending time with her family and friends.